Beaker gets married and he and his wife move to Atlanta. Since he and Rich had been roommates since 1990, Rich now needed a new place to live. He moves into James Bryan Smith's attic appartment in Wichita, KS. He would live there until he finishes school in 1995. Rich covers Keith Green's "You Are The One" for No Compromise: Remembering The Music Of Keith Green, released on Sparrow Records. 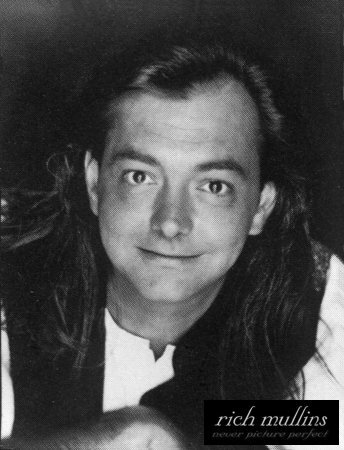 Rich Mullins performs in Ocala, FL. "Calling Out Your Name" debuts on the AC Charts. It would spend 12 weeks on the chart and peak at #2 on March 9. Rich Mullins and Jimmy A perform at the Edman Chapel in Wheaton College in Wheaton, IL. Rich Mullins performs in Dayton, OH. He ended the show with a solo version of "This World is Not My Home." While in Nashville for GMA week, Rich gives an interview to Sandi Brown of WCBW 104.9 in St. Louis, Mo. "Jacob and 2 Women" debuts on the AC Charts. It would spend 6 weeks on the chart and peak at #21. Rich Mullins and Band perform in St. Louis, MO at Six Flags. Before the show, Rich went into the audience and passed out chocolates. "Sometimes By Step" debuts on the AC Charts. It would spend 14 weeks on the chart and peak at #1 on July 20. 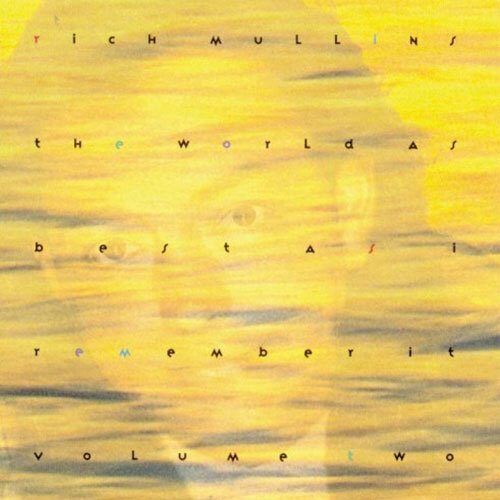 Rich Mullins sixth album, The World As Best As I Remember It, Volume Two, is released on Reunion Records. "Sometimes By Step": This track became an instant favorite in concert and churches around the world and quickly became Rich's sixth #1 single. A small promotional booklet is given away at Christian Book Stores that included the lyrics to The World As Best As I Remember It Volumes 1 and 2, and a few "Rich Rememberances". "The World As Best As I Remember It: Thoughts and Reflections by Rich Mullins"
Rich Mullins appears on the cover of CCM Magazine. "Sometimes By Step" hits #1 on the AC Charts. Following its debut on May 25, the song would stay on the AC Chart for 14 weeks. Reunion Records throws Rich a private party, for his seventh number one single, "Sometimes By Step" and his first number one selling album. Reed Arvin: "when an artist brings a producer lyrics like that, it is such a privilege and a gift to work with him." Rich was then given a brand new hammered dulcimer. Rich: "My first hammered dulcimer was a gift from a church, I appreciate receiving this one because I hate spending money on musical instruments, but I love having them!". Rich travels to Ireland around this time and stays in a four bedroom house in a little village called Shankill, a suburb of Dublin. The street address of the house was 78 Eatonwood Green - which would later become the title of an hammered dulcimer instrumental on the A Liturgy, A Legacy & A Ragamuffin Band album. Much of Rich's next album would be written on this European tour. That album would later become known as A Liturgy, A Legacy & A Ragamuffin Band. Another song written around this time in Ireland was "The Breaks." Rich is inspired to write "Hold Me Jesus" while in Amsterdam, Netherlands. Rich: "I was in Amsterdam, and there was so much sin all around us. After years of behaving myself as best as I could, I was really having to hang on for dear life. I was thinking, no one would know. I could do anything I wanted to do. Wouldn't it be fun just to cut loose for a couple nights and misbehave as much as I want? Fortunately, because I travel with my friend (and fellow band member) Beaker, and because he's not afraid to hold me accountable, I did not do anything. But I sure felt the temptation to toss out my morals for an evening." "A few days later, we were in Germany, sitting in a train station, assuming that everyone around us was German and did not speak English. We were having this totally candid conversation on a bench in the train station. I was talking very openly about some of those temptations. All of a sudden, this guy leans over and says, 'Excuse me, but aren't you Rich Mullins?' I went back over the conversation to see if I was going to admit to it or not. But I thought, this is good. A lot of times when we look at people we admire spiritually, we think they have arrived at this place where they cease to be tempted. The reality is, our faith may grow stronger over time, but the temptations never go away. It is hard for me to imagine that I will still feel tempted at 60, but when I was 20 I couldn't imagine I would feel such strong temptation as I do at almost 40." 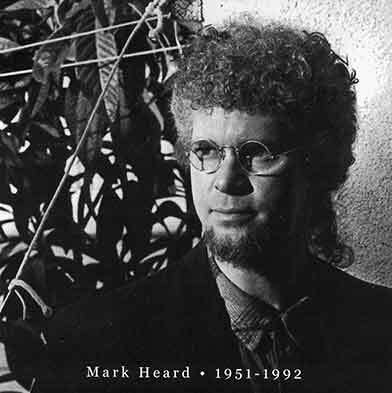 Mark Heard passes away in Springfield, IL, after suffering a heart attack during his performance at the Cornerstone festival. 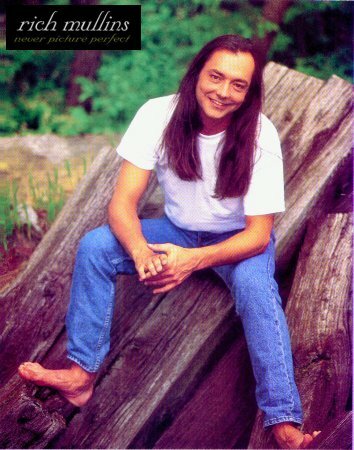 While fellow artists and friends were attempting to raise funds to assist Mark's widow and daughter through memorial concerts and tribute projects, Rich Mullins was the first artist to record a cover of one of Mark's songs. The song, entitled How to Grow Up Big And Strong would appear on Rich's A liturgy, A Legacy & A Ragamuffin Band project the follow year and raise additional money for Mark's family through royalties. Rich: "When I first heard Mark Heard's Eye of the Storm, I knew that he was a very original writer and had a style that I like. Several albums later, I still liked his writing. It never became predictable or narrow -- it remained honest. It has been that honesty more than any of his styles that spoke so clearly." "The Just Shall Live" debuts on the AC Charts. It would spend 13 weeks on the chart and peak at #3. "Hello Old Friends" debuts on the AC Charts. It would spend 8 weeks on the chart and peak at #8.